Interstate 7 northbound: Exit the interstate 7 at the "Göttingen Nord" exit. Stay on the following freeway until you reach the intersection. Cross the intersection straight on onto the highway 27 heading towards Braunlage. Follow this highway about 30 kilometers passing the cities of Rohringen, Waake and Gieboldehausen. Turn left about 5 kilometers behind Gieboldehausen at the restaurant "Auekrug". Follow this road about 3km, you get directly into Hattorf. Interstate 7 southbound Exit the interstate 7 at the "Seesen" exit. At the following intersection turn right onto the highway 243 heading towards Osterode, after about 1km the highway makes a left turn and continues as a freeway from there. Follow the freeway about 25 kilometers, about 6 kilometers behind Osterode there is the exit "Hattorf". Exit the freeway and turn right on the highway. This road leads you after about 8 kilometers directly into Hattorf passing the villages of Hörden and Elbingerode. 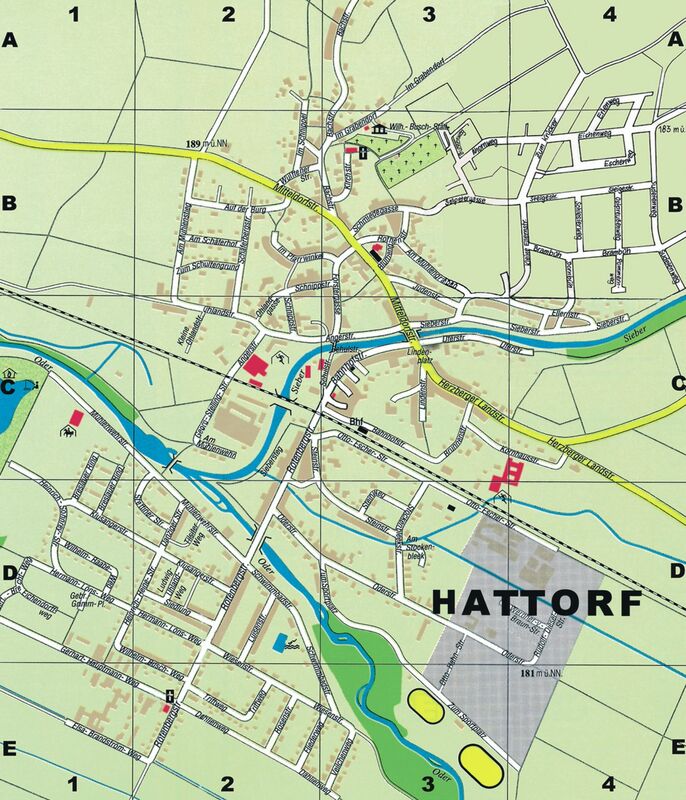 Hattorf has its own railway station at the Northeim-Nordhousen route. From both directions you can get into Hattorf every hour by commuter trains.